Southwest Airlines’ pilots and mechanics unions joined together in conducting a vote of “No Confidence” in the airlines’ executives, particularly chief executive officer Gary Kelly and chief operating officer Mike Van de Ven, and called for their ouster. 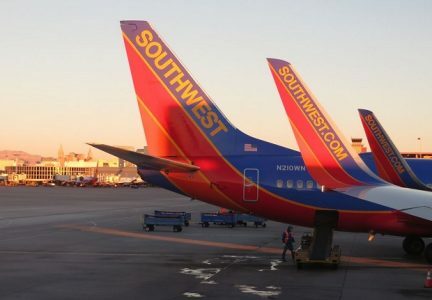 The move followed Southwest’s massive technology meltdown that began on July 20 when a router that connects multiple networks failed, causing the cancellation of 2,300 flights. The unions said the incident was evidence of Southwest’s failure to invest in the airline’s technology infrastructure and its people, instead prioritizing short-term stock performance. Southwest’s aged technology is legendary in the industry. Its reservations system evolved from Braniff’s Cowboy system, for example, although it has been updated by Sabre over the years. That system is slated to be replaced by the Amadeus Altéa system next year. But Randy Babbitt, Southwest’s senior vice president of labor relations, said technology systems were not behind the unions’ call to fire Kelly and Van de Ven. The pilots and mechanics have been working without contracts for nearly four years, and Babbitt said the move is “designed to pressure the company to meet its demands.” To read more at Travel Market Report, click here.